TRIZ Principle #21: Skipping or rushing through involves conducting a hazardous or costly operation at a high speed in order to minimize harmful effects. Cut plastic faster than heat can be propagated in the material, laser eye surgery, flash photography, early loan payoffs, accelerated depreciation, minimization of chemical reaction times under known hazardous conditions, “fail fast/fail early” concept in product development, and rapid prototyping are examples of this inventive principle. 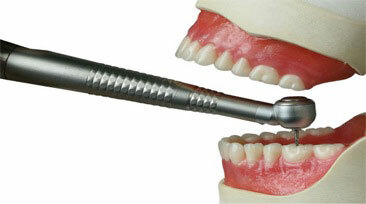 Thankfully, this inventive principle led to the development of the high-speed dentist’s drill. TRIZ Principle #22: ‘Blessing in disguise’ or ‘lemons into lemonade’ is the inventive principle which would use harmful factors, conditions, or situations in a positive way; use a negative as a positive, or amplify a harmful factor to the point where it is no longer harmful. Use of waste energy to generate electricity or, in the case of electric cars, use energy released when braking to recharge batteries, use waste heat from engine to heat passenger compartment, recycle waste material from one process to be the raw material for another process, vaccinations, add a buffering material to a corrosive solution, use explosives to blow out an oil well fire, laser knife which cauterizes skin and blood vessels as it cuts, loss leader to bring people into a store, short selling in the stock market, ‘provocations’ method of encouraging new ideas, introduce fear of competition to eliminate fear of change, and reduce traffic in cities through cheap ‘park and ride’ facilities combined with expensive downtown parking fees are some examples of this approach. Another interesting one is to require potentially polluting industries to place their flow intakes downstream of their flow outlets on a river. 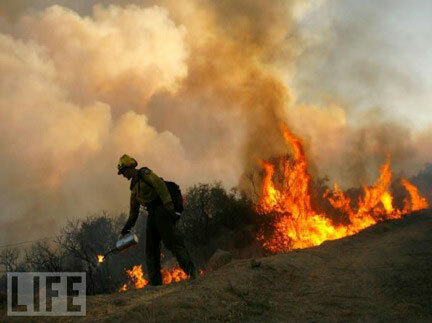 Using backfire to create a buffer zone to prevent forest fires reflects this ‘turn lemons into lemonade’ innovative principle. TRIZ Principle #23: Use of feedback can entail introducing feedback to improve a process or action, and, if feedback is already in place, change its magnitude or influence. Closed loop process control, store loyalty cards and rewards, car radio volume automatically adjusting as car speed increases, employee and customer feedback, statistical process control, autopilots controlled by gyrocompasses, multi-criteria decision analysis, and automatic stock re-ordering from suppliers based on sales data are some examples. Another is Motorola’s ‘open dissent’ policy where employees fill in a minority report to senior management when they feel their good ideas are unsupported by their supervisor. 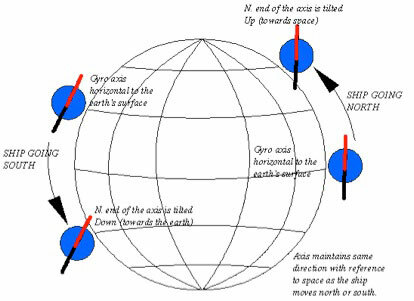 A gyrocompass, which is widely used on commercial ships, can find true north by using an electrically powered, fast-spinning gyroscope wheel and frictional or other forces in order to exploit basic physical laws and the rotation of the Earth. 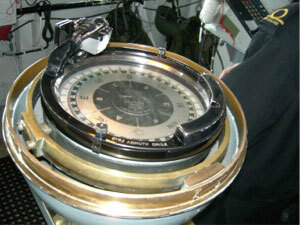 It is also used to control simple aircraft autopilots. TRIZ Principle #24: Intermediary refers to the use of an intermediate carrier between two objects, systems, or people. It can also involve merging an object temporarily with another, or with the ability to remove it after the required function is completed. Drink coasters, insulating gloves and clothing, hub city ‘feeder’ concept for airlines, bridge loan, “pop-up” windows in software, chemical catalysts, paper clips, carpenters’ nail sets used between the hammer and nail, use of an impartial person or body during difficult negotiations, subcontracting non-core business, contracting for occasional services, and use of a consultant or specialist trouble-shooter are some examples. 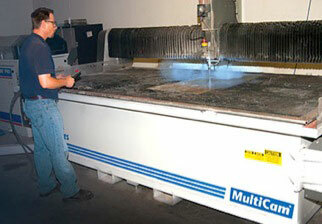 Waterjet cutting systems can cut almost any material with a high degree of accuracy and without heat. It’s another example of use of the intermediary inventive principle. TRIZ Principle #25: Self-service involves making an event, product, or service serve itself by performing additional auxiliary helpful functions. It can also involve using waste or lost resources, energy, or substances. Self-serve gas stations, halogen lamps that regenerate their filament during use, self-locking nuts, self-cleaning oven, co-generation, animal waste used as fertilizer, self-help groups, ATM’s, cookies on the Internet, bar codes on inventory items which gather data to assist future marketing decisions, re-hiring retired workers for jobs because of their knowledge and experience, recycling packaging materials, and loaning temporarily under-used employees to other organizations to load balance labor resources are some illustrations of how this inventive principle has been used in the past. 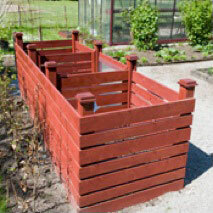 Using food and lawn waste to create compost is a well-known example of the self-service inventive principle. TRIZ Principle #26: Copying involves the use of cheaper, disposable, and inexpensive copies as a substitute for expensive, fragile, or difficult to replace objects. It may involve replacing an object or process with optical copies. Crash test dummy, video conferencing, listening to an audiotape or watching a YouTube recording instead of attending a seminar, benchmarking studies, infrared imaging to detect heat sources, virtual reality instead of an expensive vacation, scanning rare books and documents for public accessibility, virtual service manuals for products, central electronic database in place of paper records for access by multiple users, Astroturf, imitation jewelry, surveys using space photographs instead of on the ground field surveys, laser anemometry, use of UV as a non-destructive crack detection method, and use of multiple techniques to evaluate customer satisfaction all use copying as the inventive principle behind the idea. 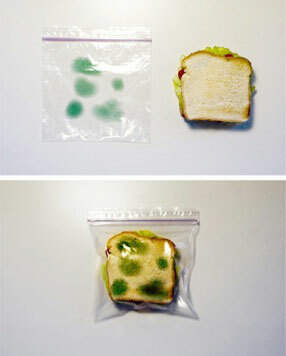 An interesting example is the Moldy sandwich bag, which has a preprinted picture of mold on it so fellow employees are discouraged from taking your food if stored in a common refrigerator at the workplace. 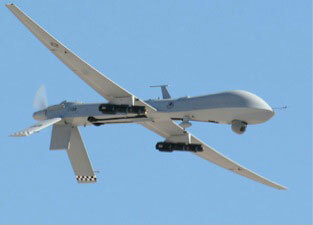 A high tech example of copying is the use of drones as reconnaissance airplanes but without a pilot on board. TRIZ Principle #27: Cheap, short-life objects is the replacement of an expensive object, system, or process with a multitude of inexpensive, short life objects, systems, or processes while compromising certain qualities. Disposable dishes, glasses, silverware, napkins, cameras, flashlights, and diapers; temporary re-routing traffic signs; filter replacement elements; inexpensive catalysts that remain with a product; sacrificial coatings; virtual simulations and war games; many types of medial supplies; post-it notes; industrial diamonds used in cutting tools; and pilot flight simulators use this inventive principle. 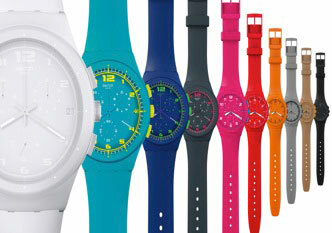 The Swatch watch is a well-known example of cheap, short-life objects. TRIZ Principle #28: Mechanics substitution replaces a mechanical system, force, or system with another based on an optical, acoustic, electronic, or chemical field. It may involve use of electric, magnetic, or electromagnetic fields to interact with an object, a change from static to movable fields, or use of fields in conjunction with field-activated particles. Examples include acoustical fences versus physical fences for pets, a foul smelling compound in natural gas to alert leakage rather than relying on mechanical or electrical sensors, heating a substance containing ferromagnetic materials by using varying magnetic fields, mixing two powders by electrostatically charging one positive and the other negative and then mixing them together, paint-spraying by oppositely charging paint droplets and the object to be painted, magnetic resonance imaging, scanner, GPS locators for taxis or delivery trucks, pagers, voice activated commands, touch screens, electronic voting, finger print or retina scan replacing a keyed lock, mind mapping software tools, and photo-chromic devices. Another example of the mechanics substitution inventive principle is the State of California’s electronic toll collection system to enable drivers to pay road and bridge tolls without stopping. It’s a black box! 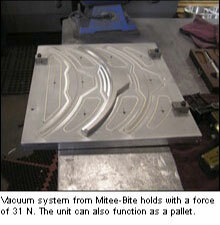 Spray-on liners for truck boxes, used mainly in light trucks, replaced drop-in liners. Two compounds flow to a pump, which heats them to 160 degrees. The heated compound is shots through twin hoses into a spay gun which mixes the two compounds, and blasts them into a mist. Within seconds of coming into contact with the truck’s metal the mixture of the two compounds hardens into a gritty polyurethane solid about one eighth inch thick. The Reversible Magnetic Tie solved the problem of not having enough necktie tail to reach the fabric tie loop once it is tied. 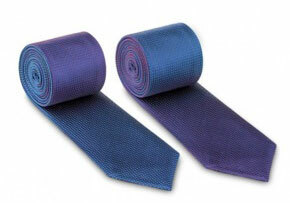 It is also reversible so it is two ties in one. The magnetic part of the tie eliminates the need for a tie clip or bar. The tail is always retained behind the tie irrespective of how tall or short the person, no matter how long or short the tie tail. Each Magnetic necktie has two powerful rare earth magnets inside the head and tail, which secures the tail behind the tie and thereby concealing it from view. 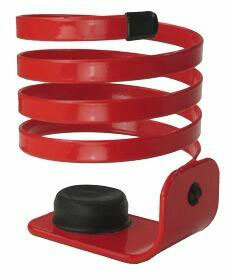 Mechanics substitution is also the inventive principle behind the magnetic oil filter. 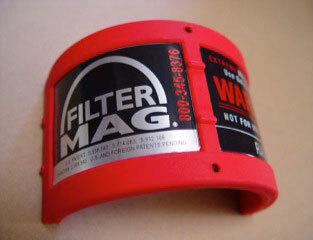 Helex Corp has a US Patent on a magnetic oil filter which attaches to the outside of an existing oil filter. Its construction includes a rare-earth neodymium magnet in a coil shape. The product claim is that its magnetic field draws metal particles or fines, which are too small for the material inside the oil filter to catch, to the sides of the filter. There are other variations of this magnetic oil filter. Some have magnets inside the screw on oil filter itself, while others fit around the outside of the oil filter. 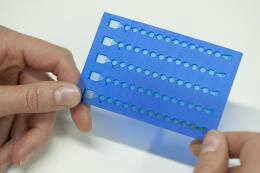 Another example of mechanics substitution is a plastic card inserted into an analysis unit smaller than a notebook for detecting sepsis, a potentially fatal whole-body inflammation caused by severe infection. First announced in 2010, it can provide an analysis of the blood in an hour compared to a laboratory test requiring about 48 hours to obtain the results. This shorter time can enable a doctor to prescribe a life-saving therapy much earlier. The testing system is based on nanoparticles which are automatically guided by magnetic forces. Among its many applications the sepsis testing card can facilitate fast and low cost infection diagnostics even while a patient is being transported by ambulance to a hospital. A fifth example of the mechanics substitution inventive principle is the use of a magnetic field, vacuum, or an adhesive rather than clamps. Depending on the job to be done, these alternative methods can expose more surface of a part to a cutting tool, enable working with thin parts, reduce production time, and better handle delicate parts which would otherwise be damaged with mechanical clamps. TRIZ Principle #29: Pneumatics and hydraulics is the use of use gas and liquid parts of an object instead of solid objects and systems. It could be something inflatable, filled with liquids, an air cushion, hydrostatic, or hydro-reactive. Hovercraft, inflatable mattresses and furniture, hollow section O-rings, hydraulic tappets, acoustic panels incorporating Helmholtz resonators, pneumatic conveying, load cells, store energy when decelerating a vehicle in a hydraulic system and then later use the stored energy to accelerate, gas bearings, liquidation of assets, and flexible or fluid organizational structures rather than rigid hierarchies are examples which explain use of this inventive principle. 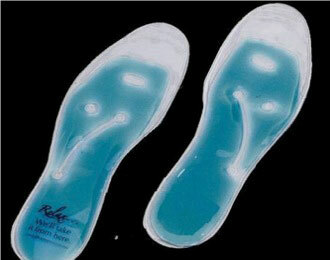 Another invention, which used pneumatics and hydraulics, is gel filled shoe soles. TRIZ Principle #30: Flexible shells and thin films are used instead of three-dimensional structures, or are used to isolate an object or system from the external environment. Examples of this inventive principle include bubble wrap, pre-packaged materials, protective covers and films, tea bags, membranes for water desalination and gas separation, card transactions instead of money, a tarpaulin car cover in place of a garage, webbing, and bandages and band aids are examples. Another would be having a single employee designated as the customer’s dedicated service agent where this agent has all the necessary data easily available – the customer only deals with the single agent. 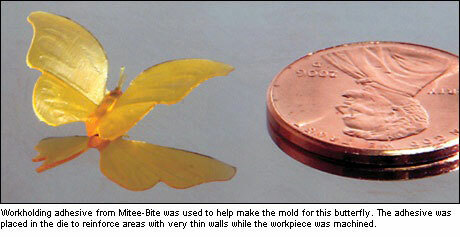 Use of membranes also involves the thin films inventive principle. A separation membrane is a key component in nanofiltration and reverse osmosis filtration systems, such as with desalination units. In 2011 researchers at the Universities of Chicago and Illinois at Chicago, together with the Electronic & Magnetic Materials & Devices Group at the Argonne National Laboratory, produced the thinnest nanofiltration membrane achieved thus far. 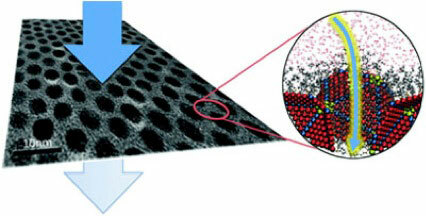 It is about 30 nm thick and made of only four layers of nanoparticles. The benefit of reducing the thickness of the membrane reduces the pressure that needs to be applied across the membrane.